The holidays are for spending time with our loved ones, attending parties and get togethers and all the prep that goes into them. The month of December is usually a busy (and sometimes stressful) one that creeps up quickly, and can catch us off guard. Our to do lists seem to pile up higher and higher and sometimes we even forget to practice our usual self care routines. From holiday shopping to getting our homes ready to entertain in, the stress can take away the joyful feeling the holidays are meant to bring. We created a list of things you can do to in order to stay stress free during the holidays. Light some candles, put some Christmas music on, and take a relaxing bubble bath. Don’t slack off on your self-care routine. It's important to keep up your regular regime. Pamper yourself. Treat yourself to a relaxing gift like a massage or a facial to help you destress. Stay healthy and don’t forget to take your vitamins. This will help you to avoid catching a cold or the flu. Carry around some stress relief essential oil. Rub some on your hands and breathe in the scent. This will help calm your mind. Schedule a half hour of “alone time” each day to do whatever you want, even if it’s nothing at all. Head to the gym even if it’s for a short workout. There are many benefits to exercising, but one of the main benefits is reducing stress. Take a morning or afternoon walk in the sunlight, which helps to replenish Vitamin D and fight against SAD. Keep track of how you feel by writing it all down in a journal, and then let any negative energy go. Take a drive or a walk to look at the Christmas lights. Sit by your Christmas tree and read a book or magazine. Blast some Christmas music while you clean. Watch a feel-good Christmas movie like Elf, Christmas Vacation, or The Night Before. Focus on what’s most important - spending time with loved ones; or if you can’t make it home, then spending time with friends. 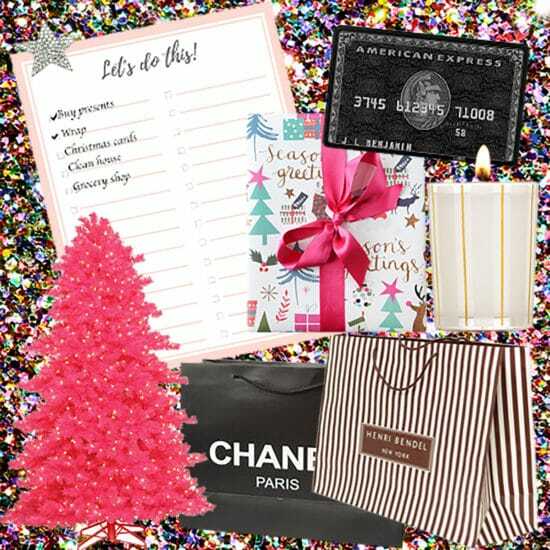 Shop for gifts online so you won’t have to deal with the stress that comes with in-store shopping like long lines, and parking. Create a to do list. Cross each task off once you’ve completed it. Learn how to stick to your holiday budget. Request free gift wrapping when buying presents. Follow these tips if you’re flying during the holidays; and be sure to pack light and smart. Prep your holiday dinner in advance so that you’re not rushing to get things done on Christmas morning, and make all your desserts ahead of time. Don’t set your standards too high; no one and nothing is perfect. Know that is okay to say “no” and don’t feel bad about it. Reach out. Don't be embarrassed or ashamed if you need to ask your friends or family for help this season. Last but not least, remember to have fun! The holidays come so fast, we blink and it’s the New Year. Take time out to enjoy the season, be grateful for what you have, and if things don’t go as planned...don’t let it get you down. What are you tips for a stress-free holiday season? Comment below!